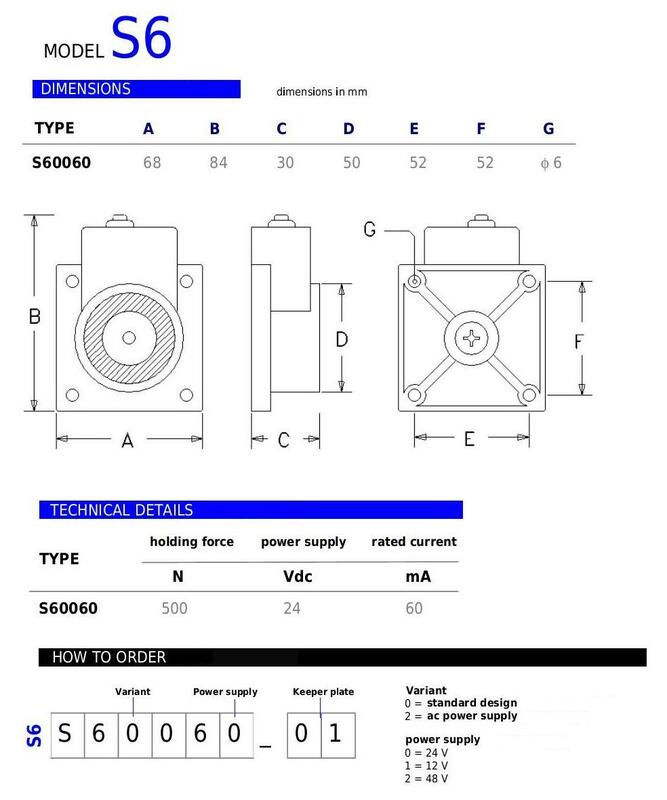 MODEL S6 is generally supplied with the adjustable keeper plate S01060, has got a release button and a protection circuit. It 's available with holding force of 500 Newtons only. Power supply wires are connected to a terminal connection and they can enter from down or from the sides via special tear-off tabs. Standard operating voltage is 24Vdc. 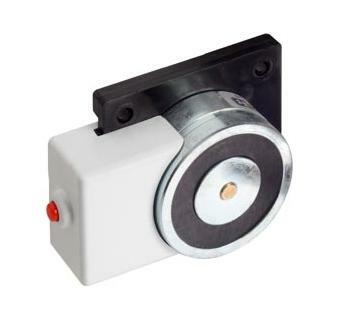 The basis for the fixing of the magnet and the cover are made of plastic material (ABS). I want to receive information on the page "Model S6"